Do you work at or attend a school or know someone who does? 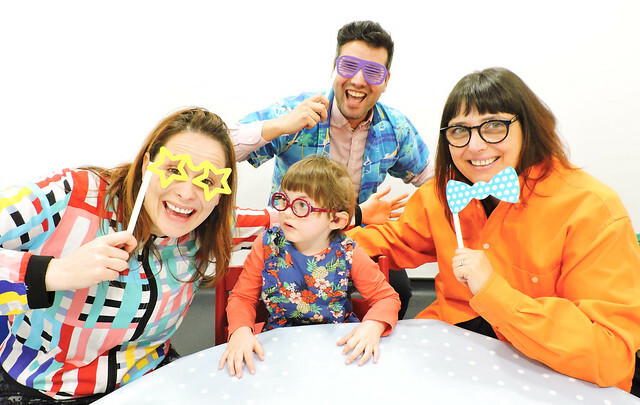 Why not suggest wearing your loudest shirts on Friday 7th June 2019 to help deaf children enjoy an equal start at school. Register and order our fundraising pack full of loud materials to help your school understand more about deafness and its impact, along with fun ideas and helpful tips to assist you in running a successful day. Once you have registered and got your fundraising pack we have extra downloadable resources to assist with your Loud Shirt Day, including assembly material. Why not show off your shirts with a fashion show and donate an extra £1? Do a sponsored silence, ask your friends and family to sponsor you and experience what it is like not to be able verbally communicate. Make some delicious treats for a bake sale. Find out how to participate by clicking here or register here. Please post on social media using the tag #LOUDshirtday or email us a photograph of your school getting loud to create a sound future for deaf children!